I mentioned before that I'm planning an "American Civil War Week" along the lines of my "New Zealand Wars Week" of last year. 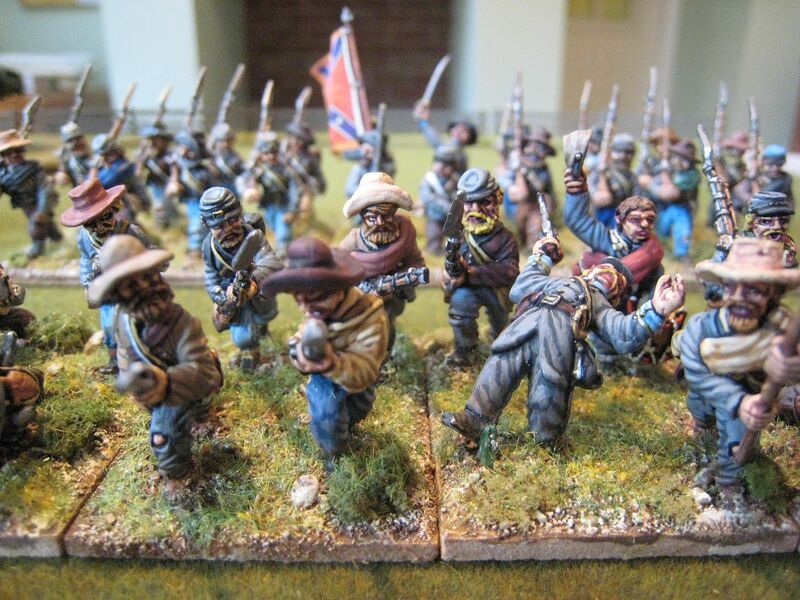 I have 4 ACW regiments finished and am working on the final one. There are a couple of vignettes to polish off too. I haven't taken any proper photos yet - the dire weather in the UK have prevented that, as I need to go outside and it just hasn't stopped raining since (I think) late March. 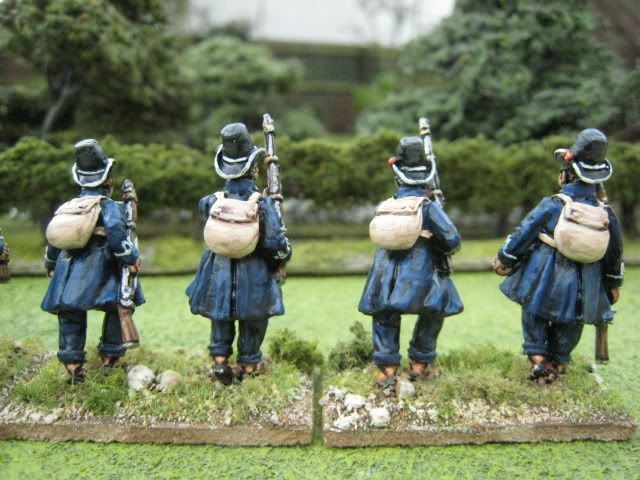 But here are a couple of "teasers" of the Jackson's 1862 command so far. 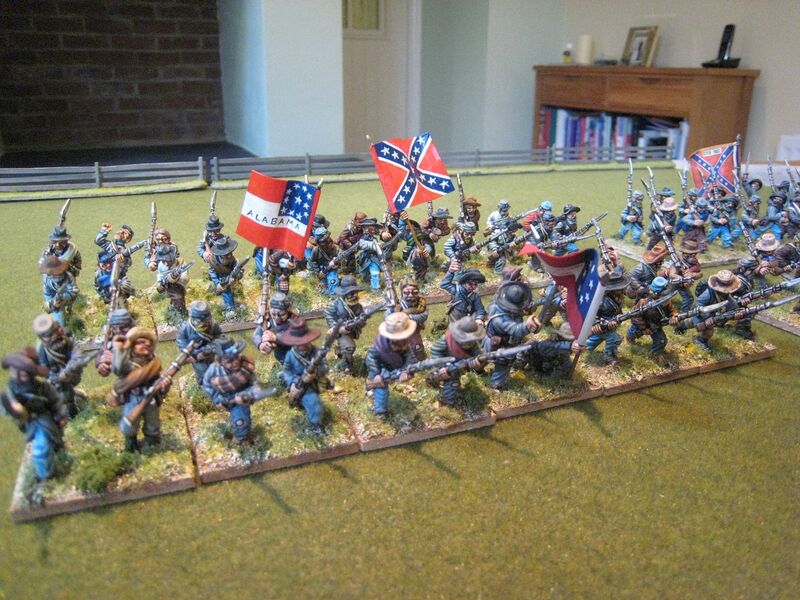 All are 25mm Dixon Miniatures, with 3 GMB flags and 2 hand-painted ones. 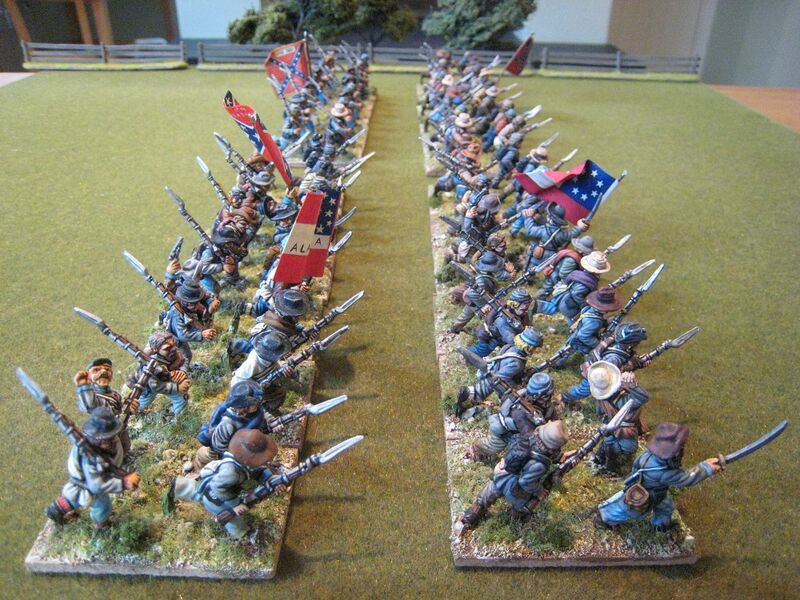 There is an interloping Alabama regiment, but otherwise the brigade is Virginian. About two thirds of the figures were painted over 10 years ago and the remainder since March this year. I've fallen very badly behind again - apologies. 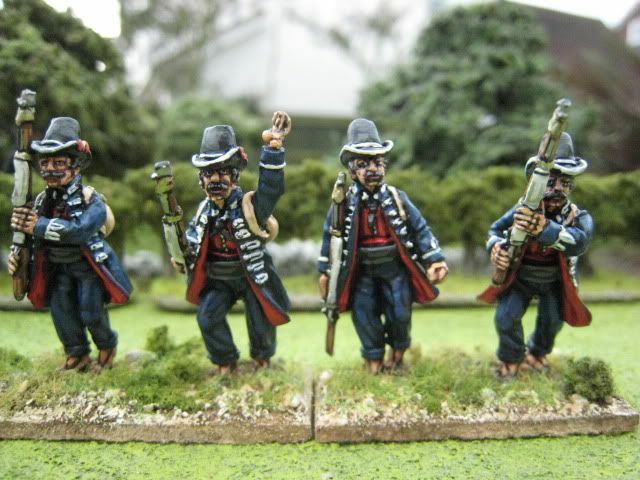 This is another Carlist unit for the First Carlist War, but is a bit removed from my other ones. There were several Carlist armies, the most effective of which were the Army of the North and the Army of the Centre. The former is the one I have been concentraring on so far, as it engaged the British Auxiliary Legion in the north of Spain and this is the theatre I'll concentrate on. However, the Army of the Centre, led by Ramon Cabrera and concentrated in Aragon rather than the physical "centre" of Spain, has some interesting units and last year Perry Miniatures released these figures for Cabrera's Guard. With their dark blue coats and black top hats, these men certainly had one of the most unusual uniforms of the war. This guard unit was very small - only 100 men, attached to Cabrera's staff. 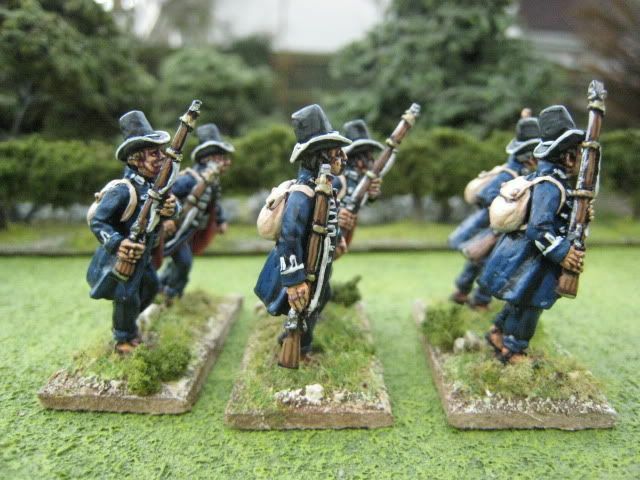 At my general scale fothis period I would need 3-4 figures, but Perry make one pack of 6 figures so I've used them all. 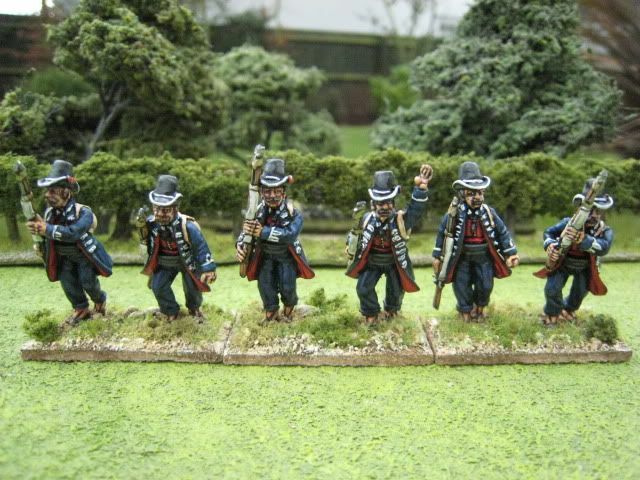 Essentially this unit is an elite group of skirmishers and are based as such on standard "General de Brigade" skirmish stands (actually those supplied in the Perry plastic Napoleonic infantry sets). These were painted in February. 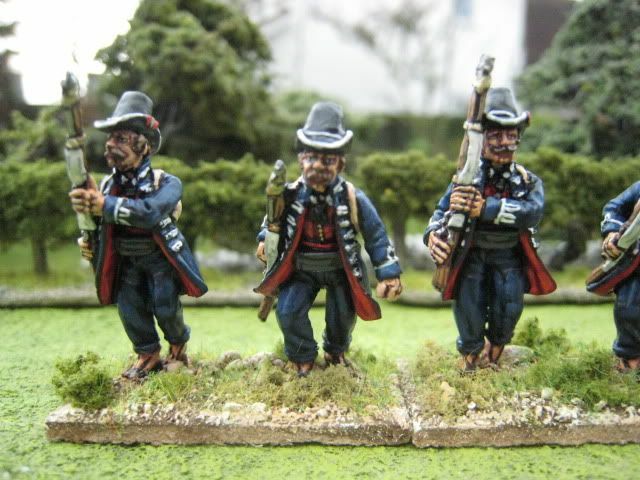 Since then, I have painted up several more First Carlist War units, a brace of ECW command stands, more 1815 French and lots of ACW. I also have 2 regimental museums to blog about, so I'll make a bigger effort over the next few weeks.